LOS ANGELES (AP) — Ed O'Neill's star on the Hollywood Walk of Fame is appropriately placed: in front of a DSW shoe store on Hollywood Boulevard. 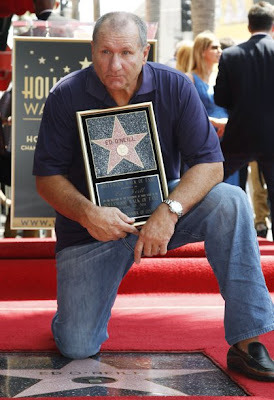 O'Neill earned his fame playing shoe salesman Al Bundy on the long-running sitcom "Married With Children." The Emmy-nominated star of "Modern Family" received his sidewalk honor Tuesday in a ceremony featuring his two TV wives, Sofia Vergara from ABC's "Modern" and Katey Sagal from "Married," which aired on Fox. O'Neill called the honor overwhelming and thanked fans, then quipped, "Just think, somewhere in this world a baby girl is being born and she is going to be my next wife." Vergara is 26 years his junior, and Sagal 11. The 65-year-old O'Neill attended Ohio University and Youngstown State. He was signed by the Pittsburgh Steelers but cut in training camp. He taught social studies before his acting career. 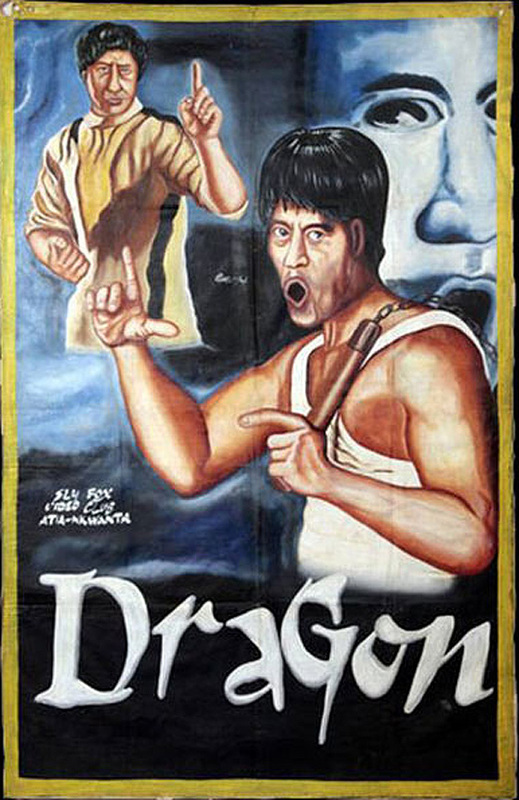 These movie posters were all created by artists in Ghana to promote traveling movie shows and sell tickets to bootleg screenings of various western and local movies. These posters range from quirky recreations of the original movies to WTF inducing paintings with imagery completely unrelated to the original content. Get ready to experience a rollercoaster of different movie posters butchered, masterfully recreated, and mashed up as you've never seen it. 69 more bizzare bootleg movies posters after the jump! It’s been a week since Fox stopped offering free access to its TV-shows the day after they air on television. The TV-studio took this drastic step in the hope of getting more people to watch their shows live and thus make more revenue. TV-viewers, however, are outraged by the decision and have massively turned to pirated sources to watch their favorite shows. One of the main motivations for people to download and stream TV-shows from unauthorized sources is availability. If fans can’t get a show through legal channels they turn to pirated alternatives.